The lower back muscles are some of the most important muscles when it comes to developing ultimate strength and power. We generate lots of power from our backs when exercising. Unfortunately the lower back muscles are often overlooked when training. A lot of people tend to avoid lower back training for fear they may injure their back, ironically enough these are usually the people that injure their backs because their backs are not strong enough to keep pace with the rest of their workout. 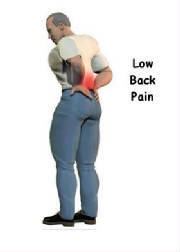 An underdeveloped lower back can not only make or break to your training but your ability to cope with everyday life. Your lower back plays a crucial role in deadlifting, squatting, and overhead pressing movements as well as walking, lifting and general mobility. Want to improve your overall strength, improve your lower back. Don’t believe me? Look at some of the strongest squatters and deadlifters in the word. They make lower back training one of their top priorities. Do a few weeks of direct lower back training and watch your strength increase. Okay so you may not want to be a strongman or powerlifter but still don’t underestimate the importance of a strong lower back. Not only is the lower back important for keeping your training up but your lower back is one of the main stabilizers for the body. Some studies have shown that men who did not have strong back muscles were 3-4 times more likely to develop back problems. Most of the time people don’t even realize the importance of the lower back until something goes wrong with it. Anyone who has had a back injury can tell you how difficult it is to simply walk with a bad back. A strong lower back helps improve posture and reduce back pain by relieving unnecessary stress placed on the back when the hip over-rotate to make up for a weak lower back. A strong lower back can also play a role in reducing knee, hamstring, and hip pains. Now that we know the importance of a strong lower back, you are probably wondering how do we go about developing lower back strength? Well to develop all around strength in the lower back it must be done in two ways. Lower backs should be trained to build strength and trained to increase endurance. Since we use our lower backs everyday almost all day, lower back muscles must be trained to maintain their strength over long periods of time. The stronger you are the easier it is to do something and the more endurance you have at it the longer you can do it. One exercise that is awesome for building lower back strength is the Good Morning. The Good Morning gives you a lot of bang for your buck. 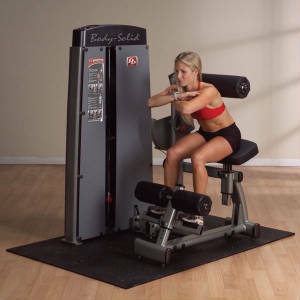 It helps strengthen your lower back, glutes, hams, and abs all in one swoop. Since our goal today is to specifically focus on the lower back, we are going to use two variations of the Good Morning that focuses mostly on the lower back. One of the best exercises for lower back strength is the Sitting Good Morning. The Sitting Good Morning is performed just like it sounds. It is a Good Morning but this version is performed while sitting on a bench, box, or seat. By sitting on a bench, box, or seat you take the hamstrings and glutes out of the movement and the spinal erectors and lower back is isolated. In a seated position, keep the body tight, take a deep breath and lean forward as far as possible. Pause just slightly and return to the starting position as you exhale your breath. Zercher Good Morning is another champion for the lower back. The way the bar is held and the motion almost mimics a back extension. If for any reason you cannot place a bar on your back the Zercher Good Morning is a great alternative exercise. The bar is held in the crooks of your arms up against your chest removing any stress that you may incur from the bar being on your back.ercher Good Morning in the same position that you would a traditional Good Morning. You want to start with your legs slightly bent and upper body parallel to the floor. The main difference is you will hold the bar id the crooks of your arms up against your chest. While holding the bar against your chest, you want to raise up until your standing upright. Then arch back slightly and really squeeze. Squeeze you lower back as you raise up and really squeeze once you are upright. Slowly descend until your upper body is parallel to the ground again and repeat. always perform them is a slow controlled manner. Now that you have a couple of exercises to build strength you’ll need a couple of exercises to build endurance in the lower back muscles. If you want to build some endurance in your lower back, High rep back extensions are the way to go. When I say high rep I mean it to! You want to be performing reps in the 20-30 rep range. Not only does this amount of reps create a “wicked” (That’s the Bostonian coming out of me!) pump in your back. The long term endurance it creates for your lower back muscles is unbelievable. When you first start out with this rep load you may not get all of your reps. The pump will be a very unique feel. This is a fantastic often over looked exercise for the lower back. The reverse hyperextension is so valuable to lower back training because it is a decompression exercise. This means it helps decompress the spinal column from things like heavy lifting to the grind of everyday life. When lots of direct stress is placed on our backs, the spine starts to compress. Too much compression leads to anything from minor back pain to herniated discs. Too much compression also removes fluids from the disc in the back. Reverse Hypers helps open up the spinal column and stretch the spinal disc. This creates an internal pump system that fills the lower back muscles with blood and the spinal column with fluids. Reverse Hypers build strength and endurance to stabilize your “core” muscles. This makes the reverse hyperextension exercise excellent for prehab and rehab purposes. These exercises are meant to be for endurance so heavy poundage should not be used, rather it is more important to focus on the amount of repetitions. Hyperextensions can be done sufficiently with just your bodyweight.